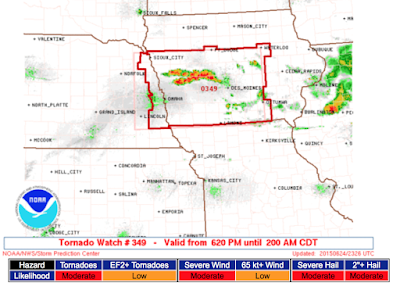 This watch includes Omaha and Des Moines. Please note the watch is in effect until 2am, so please make sure you have a way of getting a tornado warning after you retire for the evening. There is also a significant flash flood risk during the night in Iowa. Keep an eye on the area outlined for the next two hours. 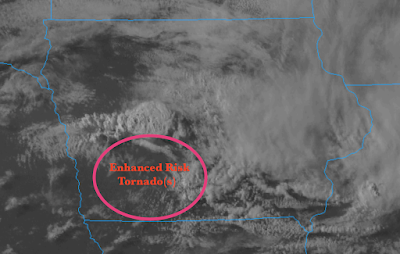 Any supercell thunderstorm in that region has the potential to cause a significant tornado. 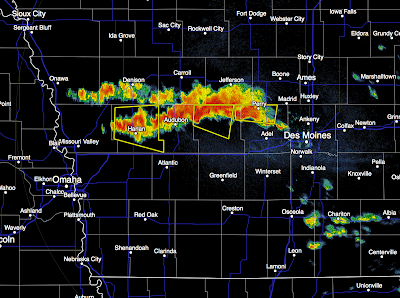 In just the last 5-10 minutes, multiple severe thunderstorm warnings have been issued. The storms are moving southeast. Radar from 6:36pm.